Dr. Jim Green was born in Lansing in 1958 and raised here at the Parker Memorial Baptist Church. The fifth son born to Don and Winifred Green, he spent the first 29 years of his life here except for his Bible college years. He returned to Parker in 1980 to serve as youth pastor with his wife, the former Terri Koonts of Lexington, North Carolina. God blessed the youth group tremendously with many young people from that youth group still serving the Lord today. In 1987, Pastor Green accepted the call to pastor a small church in Charlevoix, Michigan, and with the Lord’s help raised up a congregation, built a new 12,000 sq.ft. 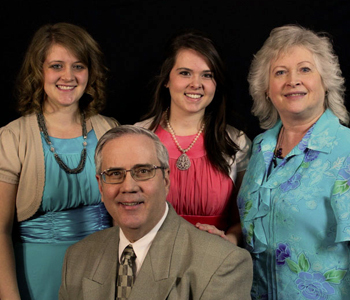 building, and raised five children who are all serving the Lord in full time service. Dr. Green has an earned master’s degree and three honorary doctorate degrees. Dr. Green is also a Chaplain for the United States Service Command and serves as a volunteer Chaplain at the MEPS in Lansing. 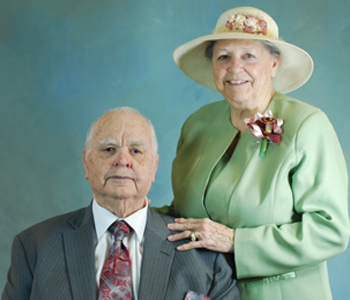 Dr. and Mrs. Green have a love for their flock and a passion for souls. They have traveled in over 25 countries carrying out the Great Commission and singing together as a family. Serving the Lord beside his father since moving back to Lansing in 2014 has been a rare and wonderful experience for him. This Green team has been a blessing to the church and a testimony to the grace of God at work in the Lansing area. Standing for old time religion and strong family values, the Greens are continuing the legacy of Dr. Don Green’s 62 years of service at Parker. Paul Snyder was born in the summer of 1992, the fifth of seven children to his parents, Barry and Sally Snyder. He was raised under the preaching of Dr. Keith Gomez and the ministries of Northwest Bible Baptist Church in Elgin, IL since 1995. At the age of 14 he accepted Christ as his personal Saviour and not long after was called to preach the Gospel of Jesus Christ. He attended Providence Baptist College and in May 2016 he graduated with a Bachelor’s degree majoring in Pastoral Assistant with an emphasis in Youth Work. He was actively involved in weekly outreach programs at Northwest to include; Soul winning, Nursing Homes, Choir and Special Music, Bus Ministry, Public School Teen Outreach Programs, Children’s Ministries, and Audio/Visual Programs within the church. 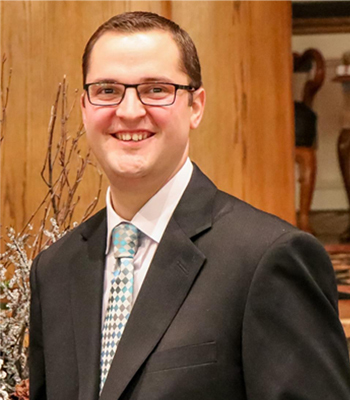 In January 2018 he accepted the call to move to Lansing, Michigan and work under Pastor Jim Green and the ministries of Parker Memorial Baptist Church. He is actively involved in both Children’s Programs and the Music Ministry at Parker. Dr. Don Green has been the Pastor of Parker Memorial Baptist Church since August 14, 1955. Dr. Green had six children, all of whom were in full time Christian service. His five boys were all ordained Baptist Preachers, and his daughter, Mary, married a Baptist Missionary. She served faithfully along with her husband in Papua New Guinea for more than 25 years before the Lord called her Home. Dr. Green’s father was a Baptist preacher, his sister was married to a Baptist preacher, he has a nephew that is a Baptist preacher, yet he is a humble man who is proud of his Baptist heritage. Dr. Green’s first wife and faithful helpmeet, Winifred, was the organist at the church and involved in many other activities besides the music ministry before God called her Home through cancer in March of 1975. He remained unmarried until the Lord told him otherwise and married a preacher’s widow on March 25, 1983. Faye has been a faithful helpmeet, serving both Dr. Green and standing beside him ministering to folks in the church since that time. Dr. Green was saved as a nine year old boy in Little River Baptist Church in Miami, Florida under the ministry of Pastor Carl Moberg. He was called to preach at the age of sixteen, received his Bachelor’s degree from Bible Baptist Seminary in Ft. Worth, Texas and his Doctor of Divinity from Midwestern Baptist College in Pontiac, Michigan. Dr. Green pastored his first church, First Baptist Church of West Branch, Michigan, from June 1949-June 1953. He was also Assistant Pastor at Berea Baptist Church in Jacksonville, Florida, from 1953-1955. It is during this time, after reading James McConkey’s book, The Three-Fold Secret of the Holy Spirit, that the Lord filled him with the power of the Holy Ghost, and his life has been permanently changed from that day forward. Dr. Green has preached the Word of God with the Power of God from the Book of God (the King James Bible) without apology for more than 60 years, and by God’s grace will continue to do so until the Lord calls him home or until the Lord’s return. He has preached around the World, and God has given him a world-wide ministry of getting the Word of God around the world as well. It is his desire to finish his course with joy. Dr. Green is a BAPTIST and his burden is for churches to remain true to the King James Bible and to the Baptist doctrines and distinctives. Dr. Green was impressed by God to produce a Baptist Flag of good quality which displays the Baptist testimony and heritage around the world. This beautiful flag is in red and white, symbolic of the blood and the purity of Christ. The theme of the flag is “The Tie that Binds” and the three-fold cord which binds the Baptists together is the Book, the Blood, and the Blessed Hope. Dr. Green grew up in a time of great Baptist leadership, and it is his desire that others follow in this legacy of uncompromising truth and unwavering obedience to the commands of Scripture in the midst of a day of fallen heroes. When Jesus returns, we trust that He will find us faithful and that He will see the glorious banner waving as we stand strong in the Baptist heritage that He ordained so many years ago!